Remember that cosmetic plastic surgery is elective. The increased medical risks and surgical complication rates associated with poor health may exclude you from being an appropriate candidate for cosmetic plastic surgery. Safety and your well-being are our highest priorities. You must ask yourself what your motivations are. Individuals who have cosmetic plastic surgery generally find that the surgery enhances their appearance and improves their self-esteem. You should not consider cosmetic plastic surgery if you are doing it only to please someone else. You must have realistic expectations. Plastic surgery is both a science and an art, neither of which are perfect. The most satisfied patients are realistic in their desire for natural looking improvement, not perfection, in the way they look. 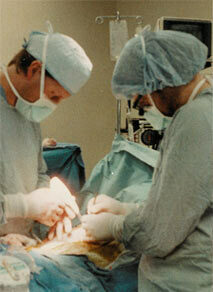 Also, every procedure is associated with a variety of potential risks and complications. The need for surgical touch-ups or revisions is not uncommon after cosmetic plastic surgery. Set reasonable goals as to the result you wish to achieve and be prepared to thoroughly discuss these goals with Dr. Mayfield.